The goal of our research was to study different forms of organization of pretend play on children's cognitive performance in a mixed-age environment. 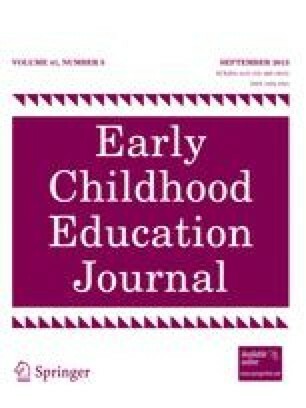 We studied two forms of management of the playing process: (a) teacher-directed play with simultaneous involvement of all children in the classroom, where the teacher plays the dominant role in the education process directing children's activity, and (b) child-directed play in various small groups. Twenty-six observations were performed on 51 children in two mixed-age classrooms. The mean age of the children was 4.6 years, with age span from 3 to 6 years. Data were collected regarding children's affective and cognitive behavior according to generally accepted taxonomies: Bloom for the cognitive domain, and Krathwohl for affective domain. We found a significant increase in cognitive manifestations during direction of the playing process in groups compared with frontal management of the lesson (113.1 ± 12.1 vs. 45.7 ± 10.3, mean ± SEM, p < 0.0001), which is related with better employment of the powerful education engine of the free-play children.